Our innovative, environmentally friendly packaging solution is available exclusively from Bullseye Food Packaging. The system has been widely adopted by the UK community meals sector as well as ready meals and convenience food providers. Recently, large scale industrial caterers have also begun reaping the benefits of our packaging, visit our industrial sector section for further details. 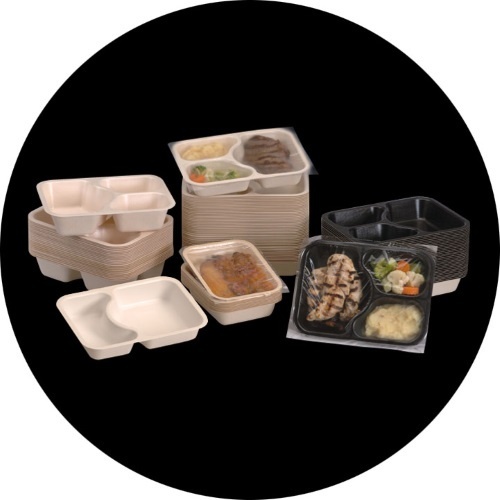 The system comprises of a flexible selection of multi-compartment, paper pulp trays which stay cool to the touch but bring freshly sealed, hot food straight to the table. The trays can be frozen to minus 40°C and heated to 205°C in conventional or microwave ovens. Please feel free to contact us to discuss your requirements or to get a FREE no obligation quotation.